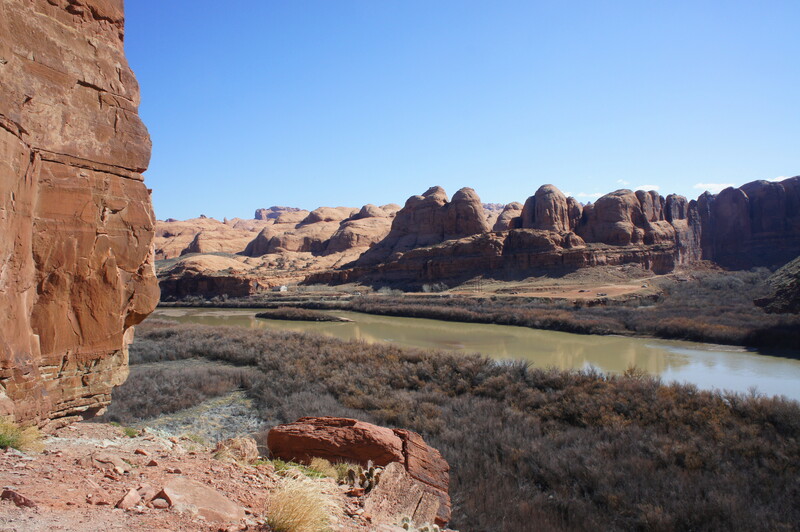 Moab, Utah—the now iconic hangout for hikers, bikers, climbers, and alas, jeep enthusiasts—is situated amid a sea of slickrock and flanked by the Colorado River, the blissful sculptor of many of the American Southwest’s grandest canyons. 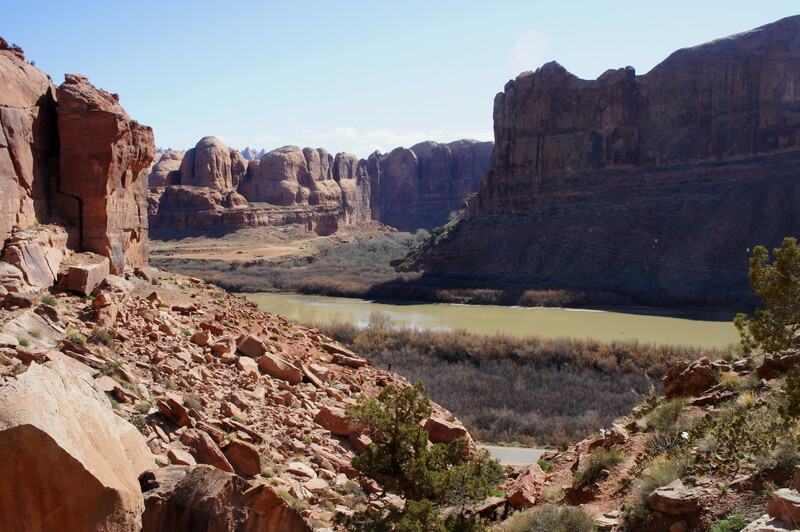 While millions flock to Moab’s Arches or Canyonlands National Parks each year, lesser-known Highway 279 follows one of the Colorado River’s finest and relatively unspoiled stretches. 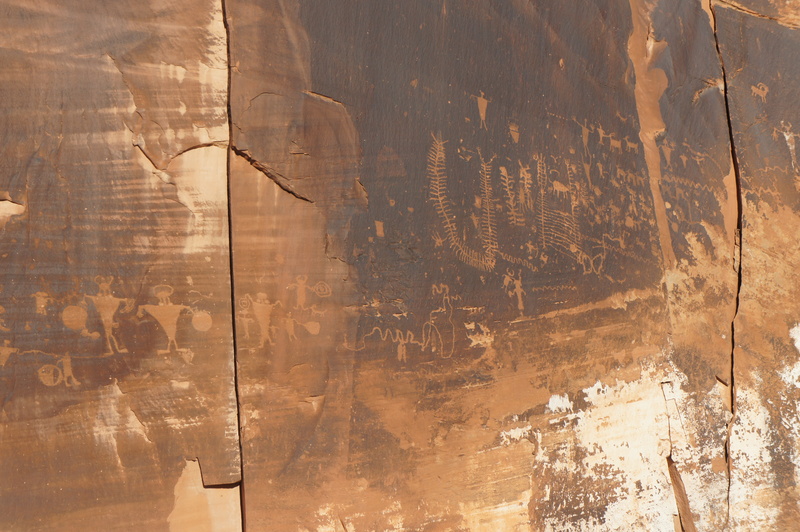 Utilized mostly by hikers and rock climbers, Route 279—also known as the Potash Road—leaves Highway 191 four miles northwest of Moab and provides access a number of lesser-known gems, including the Corona Arch Trail, world-class petroglyphs, and even a set of dinosaur tracks. 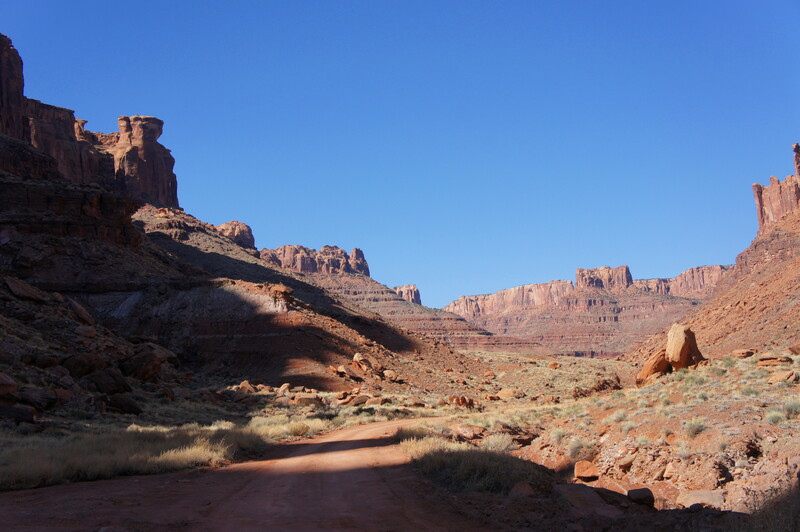 Ambitious drivers with a sturdy set of wheels can venture beyond the end of the pavement and, weather permitting, enter Canyonlands’ Island in the Sky District via the backdoor. 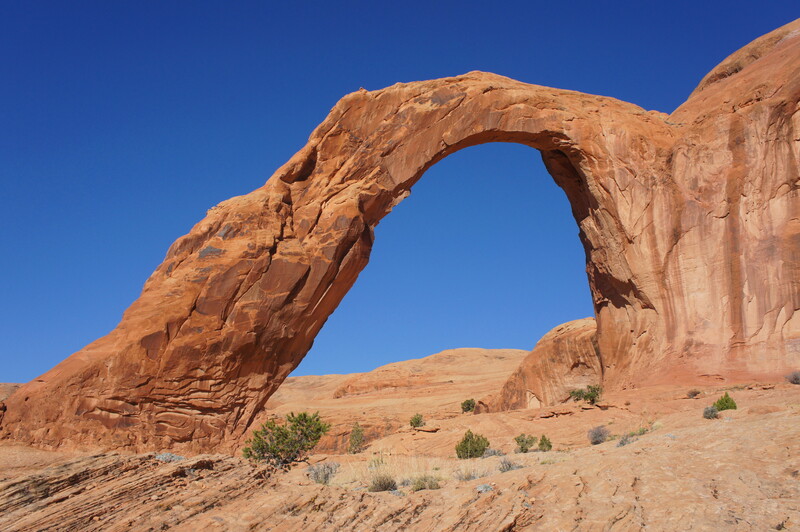 All the while, the Colorado—mostly still and serene—provides the perfect backdrop for a day in slickrock nation. See below for a photo collection highlighting a handful of the attractions along Highway 279. 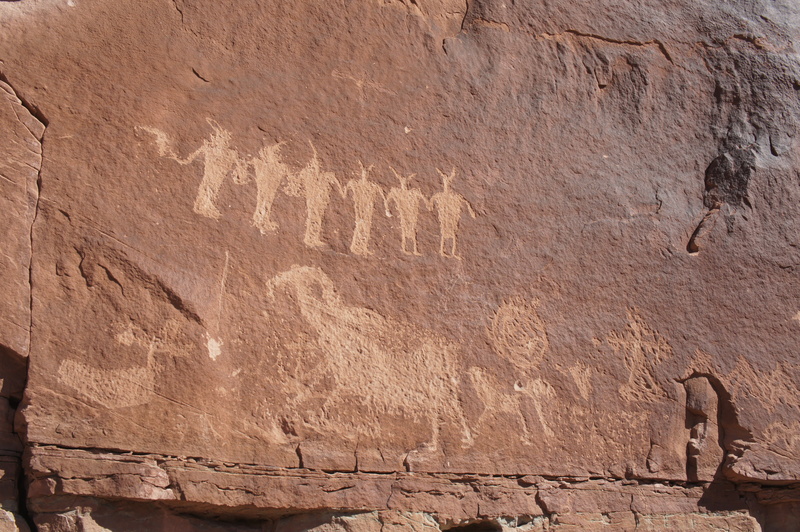 This entry was posted in Moab area, Scenic Byways, Utah and tagged arch, Colorado River, Corona Arch, Highway 279, Jug Handle Arch, Long Canyon, Moab, petroglyphs, Potash Road, scenic byway, Utah. Bookmark the permalink. 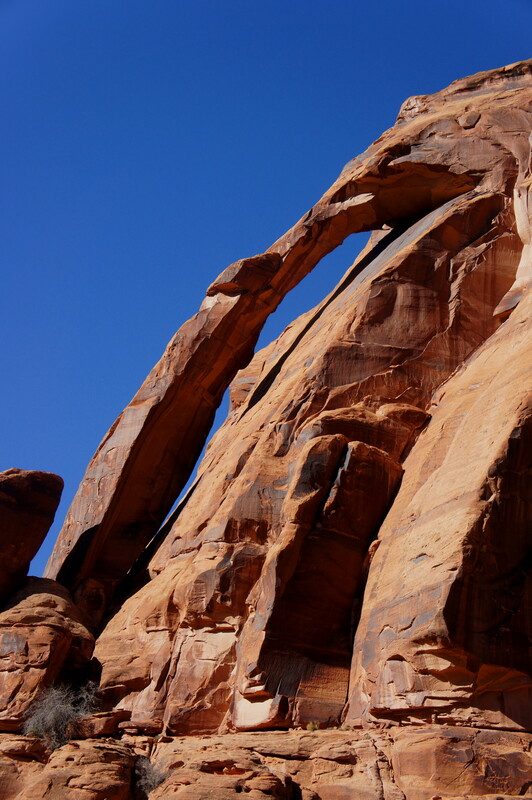 We love Moab! We already have our reservation for the month of April next year!